The message from No 10 could not have been clearer. 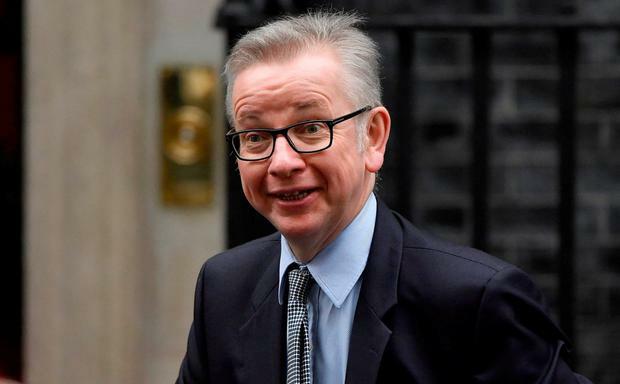 As Michael Gove had confirmed on the radio, the vote on the Brexit deal was definitely “going ahead as planned”. At 11.07am yesterday, UK Prime Minister Theresa May’s spokesman was eager to quash speculation of the vote being delayed, telling journalists who asked whether Mrs May was confident of winning the vote a bold “yes”. Rather than facing heavy defeat in parliament, Mrs May had decided to seek a more “workable” solution that could command support from MPs. As ever when confronted with an intractable problem, she had decided to buy time hoping a solution will present itself, rather than grasping the nettle. Mrs May had been under pressure to delay the vote for a week; on Thursday she summoned nine Cabinet ministers to No 10 for a brainstorming session on what to do next, at which several ministers and chief whip Julian Smith urged her to pull the vote. Mrs May gave away nothing at the meeting, but sent ministers out to spread the message that the vote would go ahead as planned. On Sunday, Stephen Barclay, the Brexit Secretary, told Andrew Marr on the BBC that the vote would “100pc” happen today. He may not have known that Mrs May was in intense discussions with her closest aides about pulling the vote as they warned her catastrophe was just days away. Mrs May also called the EU’s Donald Tusk and Jean-Claude Juncker, Angela Merkel, the German chancellor, Taoiseach Leo Varadkar, and Mark Rutte, the Dutch prime minister, on Sunday night, seeking their help to get the deal through parliament. “The trouble was that, as ever, she didn’t really say what it was she wanted,” said one EU source. Still, Oliver Robbins, her chief Brexit negotiator, was told to head to Brussels, where he was spotted yesterday preparing to make entreaties to Michel Barnier and his staff. Soon after, however, Mrs May convened a meeting of her most senior aides, including Gavin Barwell, the chief of staff, and Mark Sedwill, the cabinet secretary, for what insiders described as a “stocktake”. By then, the number of Tories publicly criticising her deal or saying they would vote against it had risen to 112. Mrs May had made up her mind: running away from a fight was better than being killed in battle. The message was not passed on to the prime minister’s spokesman, who was given the job of fielding questions about the vote in an attic room of parliament, which was so packed with journalists that many had to stand around the walls or sit on the floor. By the time the daily lobby briefing had started, word had leaked out that Mrs May had called an emergency conference call with her cabinet for 11.30am, so the spokesman was inevitably asked to clarify whether the vote was still going ahead. “The vote is going ahead as planned,” came the reply. Within minutes, it emerged that the prime minister’s spokesman, Mr Gove and Mr Barclay had all been played for fools by Mrs May. The conference call began around 10 minutes late because her aides could not get the technology for the conference to work. When it got under way, Mrs May told the cabinet that the government would suffer a “notable” loss if it pressed ahead with the vote. She said that the “risks are too great” and revealed that she will travel to European capitals today in a bid to secure changes to reassure MPs. She insisted that her agreement remains the “right deal” for the UK and claimed that there is “broad support” for it. However, she acknowledged that the backstop is an issue for MPs, adding that she will seek a legally binding “assurance” that it won’t be indefinite. Ministers, several of whom had been pleading with her to delay the vote, were broadly supportive. However, Andrea Leadsom, the Leader of the Commons, pressed her to name a date on which the vote will be held. She declined, instead stating only that it will be held by January 21. Delaying beyond that point would make it difficult to get the necessary legislations through parliament before Brexit day on March 29. Eurosceptic ministers fear that the delay is part of an attempt by Downing Street to “run down the clock” and ensure there is not time to negotiate an alternative.